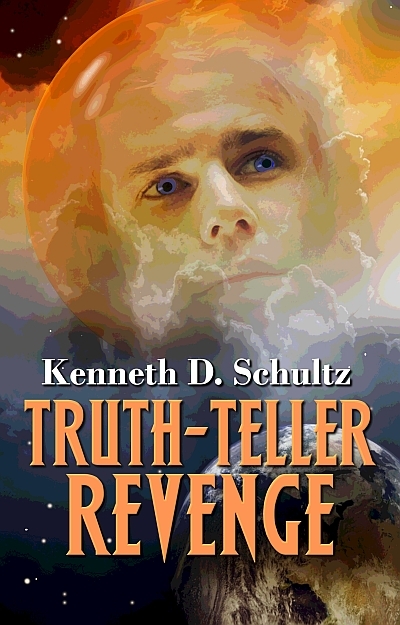 I just received the cover art for Truth-Teller Revenge. It is fantastic! The artist is Trisha FitzGerald, who also did Truth-Teller Rebellion. Yes, Cary does get off the Earth in Revenge…although, getting back is a bit of a problem. I’m doing the final final edit of the galley right now. Revenge is on track for release in November. There’s a character blog hop going on! Audra Middleton recently wrote about Princess Willow in her novel Abomination. Then she tagged me. Check out Audra’s blog at http://www.audramiddleton.com/monthly-blog/meet-my-character-blog-hop. Krin is my favorite character in my Truth-Teller series. In Truth-Teller Rebellion, she is sixteen years old. She’s nineteen at the time of Truth-Teller Revenge, which comes out this November. She’s the younger sister of Cary Bishop, who is the protagonist of Truth-Teller Rebellion. Krin is the co-protagonist of Truth-Teller Revenge. The Truth-Teller books take place around the year 4000, but they aren’t your prototypical science fiction. Not too far in our future, the exhaustion of fossil fuels and global warming helped ignite devastating wars and a partial collapse of civilization. In time, global warming ran its course, but an ice age now grips the Earth. A shortage of energy leaves civilization stagnated, although medical technology has advanced far beyond current day technology. Rebellion takes place in Washington and Oregon. Revenge takes place in the western half of North America, Hawaii, and in Space. 3) What should we know about Krin? She’s plucky and not afraid to make decisions for herself. Some of her decisions are good, some could have been better, but she’s always doing what she thinks is right. Krin is an empath and her personal story is how she deals with this ability. She can instinctively feel another’s emotions as if they were her own. Empaths are rare in her society, but her abilities go even further than those of most other empaths. She can project emotions into the minds of others. Realizing this last ability can be used for evil, she vows not to use it at all. 4) What is her main conflict? What messes up his/her life? Krin sees her father and mother swept in a glacial lake outburst flood in Truth-Teller Rebellion. Afterwards, she’s unaware of the full extent of her and Cary’s unique abilities and she doesn’t understand the reason for multiple attempts upon their lives. She has to discover the truth about her past and her gifts in order to survive. In Truth-Teller Revenge, like any woman, she’s looking for love and happiness. Instead, her father, the President of Columbia, is assassinated. She falls in love, only to find it’s forbidden. Her toughest decision is when she realizes Cary is intent on a suicide mission to defeat her father’s assassin. Can she help him without compromising her vow against manipulating the emotions of others? 5) What is her personal goal? To find love, to remain true to her beliefs, and to keep what is left of her family alive. Please check out Krin in Truth-Teller Revenge this coming November. I planned on reviewing the 1989 Hugo Award winning novel, Hyperion, this week, but…when I got to the end of the Dan Simmons novel I discovered…it wasn’t the end! And I had to know what happened. So I’m nearing the end of The Fall of Hyperion. These two books are really one thousand page plus novel. I love Hyperion and will soon publish a full review of it. I did find myself skimming over some of the descriptions in it, which made me reconsider my own writing. Champagne’s editor of November’s Truth-Teller Revenge said she found herself skimming through some of my descriptive passages. Hmm. It can be a fine line between giving your reader a vivid image of the setting, and boring the reader or slowing down the story. So I find myself cut, cut, cutting, as I rework my works-in-progress. I expect to see the cover art for Truth-Teller Revenge any day now, which I’ll share. I should also soon have the galleys to proof, which will mean a week of intensive work. Meanwhile, I’m enjoying the final days of this wonderful, sunny summer. Tomorrow I’m off to Paul Allen’s Flying Heritage Collection to see their B-25 and Hellcat fly at noon!